High blood pressure is a serious problem that puts extra strain on your arteries and heart. Untreated, it can lead to heart attack, stroke, kidney disease, and a host of other nasty problems you definitely don’t want to have to deal with. One of the problems with getting a blood pressure test from your doctor is that it only gives them a snapshot of your blood pressure at that particular moment. Enter Omron’s HeartGuide a wearable, much like any other fitness tracker, but with one importance difference: This wristwatch contains a clinically accurate blood pressure monitor. 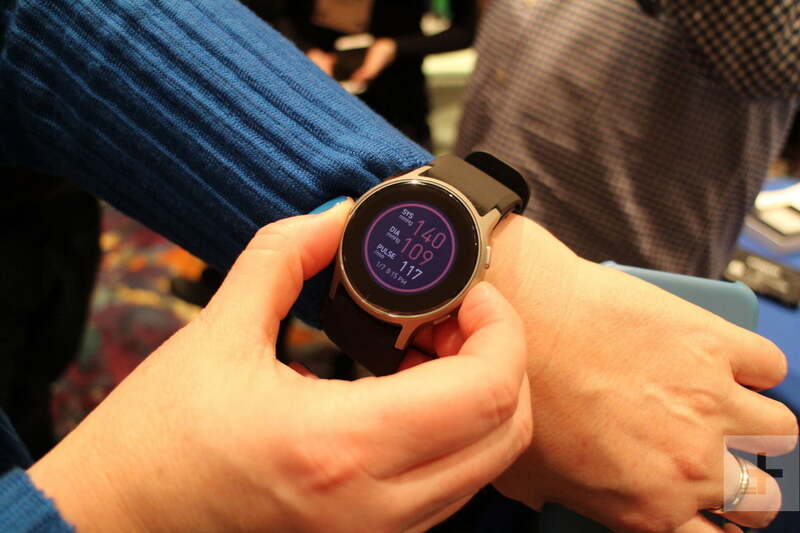 We picked out the Omron HeartGuide as one of the best health tech gadgets we saw at CES 2019, where the watch was demonstrated for us. It looks a lot like any other smartwatch or fitness tracker and it can also track your steps, distance, calories burned, hours slept, and more, but the blood pressure monitoring is the headline feature. There’s an expanding band inside the watch, just like a standard blood pressure cuff that you’d put around your arm at the clinic or hospital. The cuff inflates to take your blood pressure reading and the data is relayed to an app on your iPhone or Android smartphone. It takes between 30 and 40 seconds to measure and you can trigger a measurement manually or schedule them to be taken automatically at regular intervals. Estimates vary on the scale of the high blood pressure problem. According to the American Heart Association, more than 100 million Americans have high blood pressure, whereas the Centers for Disease Control and Prevention puts the total at 75 million. Conservatively, that means close to one third of Americans have a potential problem. A device that can measure your blood pressure when you begin to feel ill, and check on it throughout the day, or even at night when you’re sleeping, could produce enormously useful data for healthcare professionals. Omron scored 80 new patents in miniaturizing the components required for oscillometric measurement. While other devices estimate blood pressure based on sensor technology, the HeartGuide is a wrist-worn version of the test you’d get at a hospital. It has already won Food and Drug Administration (FDA) clearance. Although we were unable to try the HeartGuide ourselves, the demonstrator took several measurements and it appears to work as advertised, with the results popping up clearly on the iPhone app. It’s quite a chunky wearable, but the LCD screen is clear, and the software appears to be well designed. Omron suggests that the rechargeable battery inside will need to be charged two to three times a week. It can also offer up alerts from your connected phone on your wrist. The Japanese Omron Corporation is also a major electronics innovator in a host of other industries. 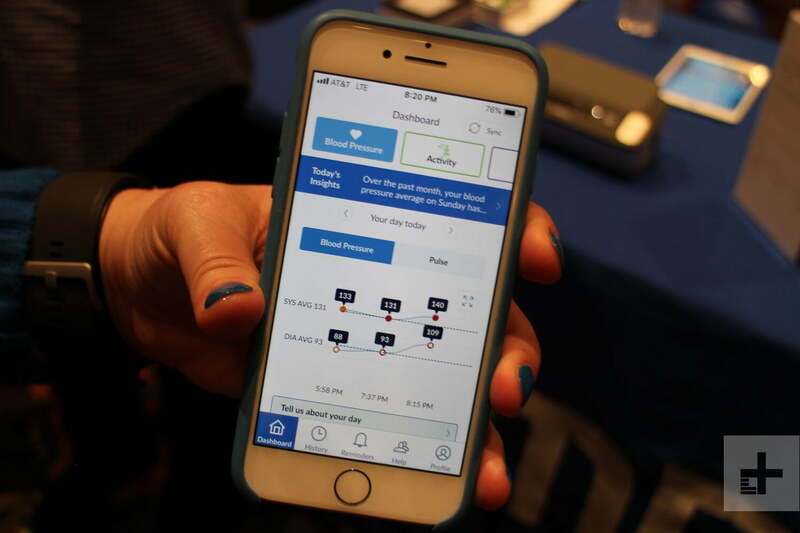 Omron’s healthcare division produces a lot of other medical gadgets — it also showed off an EKG device and a heart health coaching tool at CES. We’ve noticed a greater convergence of medical and wearable tech in recent months, with the Apple Watch introducing ECG testing in the Apple Watch Series 4. It’s a positive trend with the potential to make life easier for people with health problems that need to be monitored. There’s also always the chance that these devices will catch and highlight issues in the newly ill before they get a chance to develop further. The Omron HeartGuide is due to start shipping at the end of March. You can pre-order now and it costs $500.